Nothing is worst than seeing a lady wearing a weave the wrong way! Whether the tracks are showing, the hair doesn’t match the the leave out or the weave looks untamed, it all adds up to a bad look. 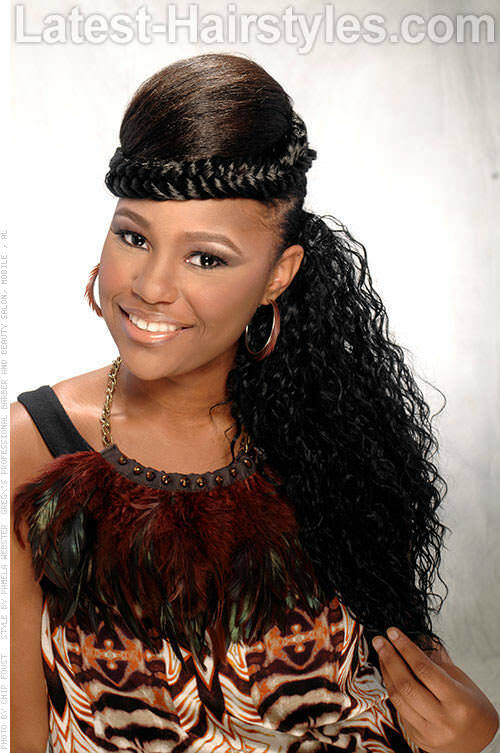 While it may take some practice, with careful attention you can easily rock a fabulous, DIY weave. Keep reading for helpful tips on how to weave. This style features bangs and a ponytail. 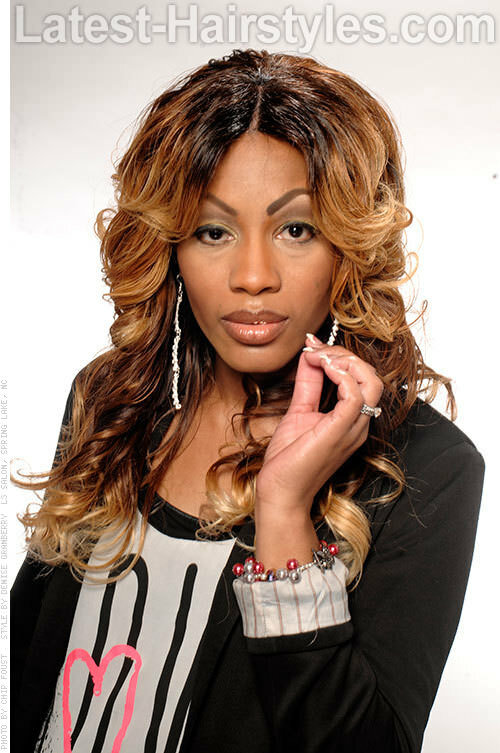 It’s a classic quick weave that’s coming back in style. Smooth hair into high ponytail. Wrap hair around ponytail. Sew or glue into place. Take a shorter piece of weave and glue into place for a smooth finish. Use serum to add shine for the finishing touches. Try Smooth n’ Shine Keratin to bring your weave back to life. All face shapes can rock this do! This styles is best suited for smooth, medium to long length hair. Use 20 to 22 inch long human hair for the ultimate smooth look. Apply a dime sized amount of oil to ends to maintain a sleek finish. This style features a cool, funky ponytail with a stylized braid and pompadour. 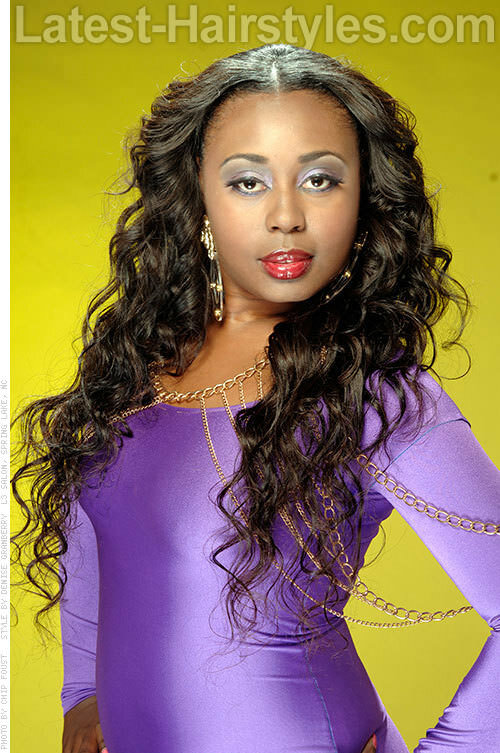 Simply pinning a weave into place can help you to easily achieve this look. Section out front half of head. Tease, smooth and pin into place. Smooth the rest of hair into a pony tail. Wrap and sew or pin extension around ponytail. Braid extension and pin around puff. If the hair islonger, wrap around ponytail. Use Brazilian or Malaysian hair for this exact look. All face shapes can rock this do! This styles is best suited for curly or wavy, medium to long length hair. 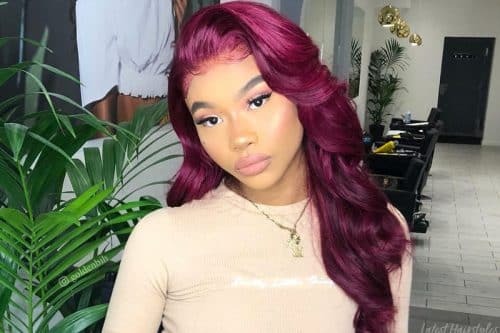 If you can’t find the hair you want in stores, look online on websites like Ali Express. 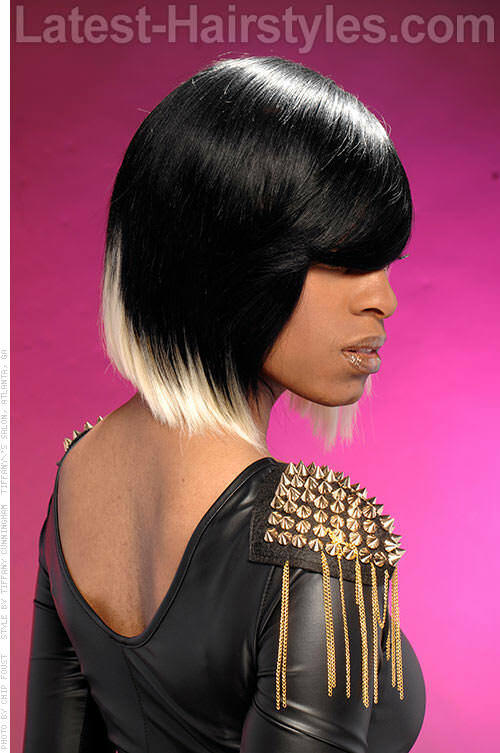 This style features a block color look with blond and jet black. Playing with hair color through weaving is extra fun when your own hair can maintains it’s integrity! Use Hair Solution for quick weaves. Apply blonde hair to back and side of head. Apply black hair to the rest of the front and side. Dry, cut and style hair as desired. Use Salon Pro-Gro 30 second Molding Gel to protect your hair and encourage hair growth. All face shapes can rock this do! 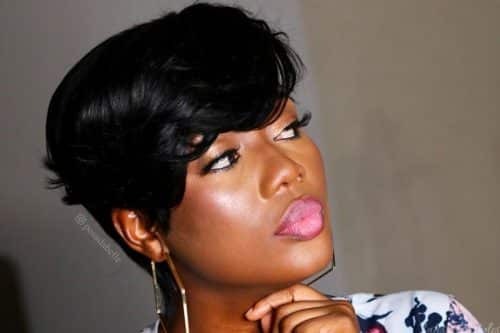 This styles is best suited for smooth, short to medium length hair. Don’t forget to treat your hair before and after applying the weave. This style features long, soft waves. For a more natural look, the perimeter of the hair line is left out to cover the weave. Section out 1-2 inches of hair around perimeter. Sew or glue hair around entire head. 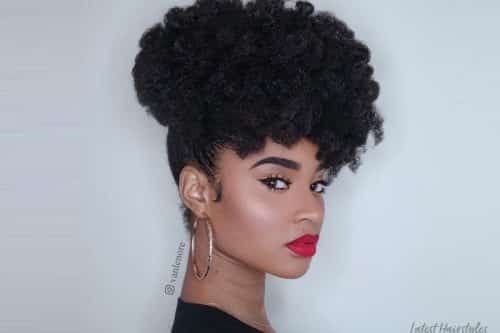 Blend actual hair and weave together. Style as desired. Use wet and wavy hair extensions for versatility of styling. All face shapes can rock this do! 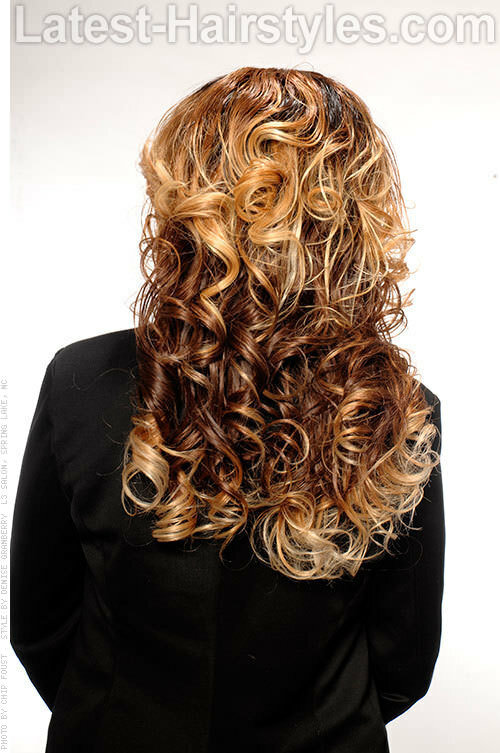 This style is best suited for curly to wavy, medium to long length hair. You might choose to relax the perimeter of your hair for a smoother blend. 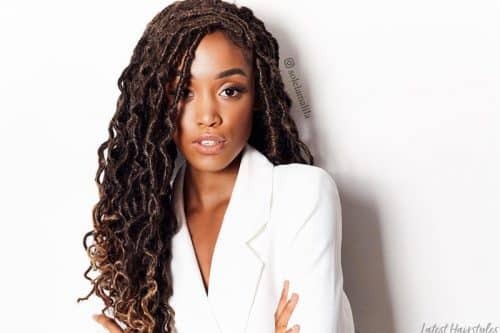 Some women prefer to cover their entire head with weave and still have a part such as featured here with this long look. 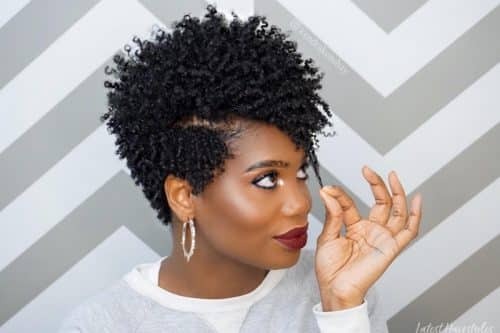 Check out how to achieve the “invisible part” technique below. 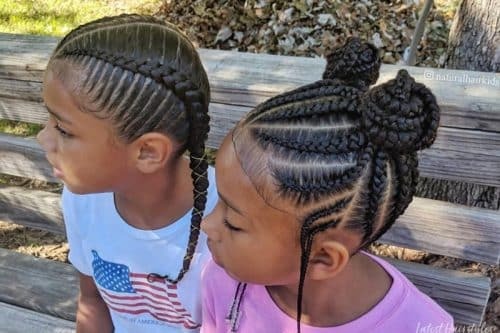 Braid front down to the sides in cane rows leaving a part in the middle. Braid the rest of the hair in a circular pattern. Sew or glue hair into place. For invisible part, separate weft into thin pieces for smooth finishing. Cut and style as desired. All face shapes can rock this do! This styles is best suited for any length hair. To reduce shedding of hair, don’t cut the weft in the back. 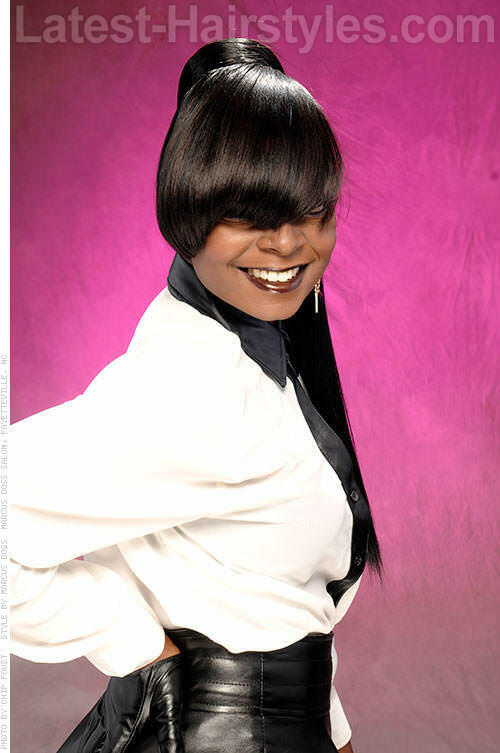 Weaves are great styling choices for those who want to change up their style without compromising their hair’s health. There’s certainly nothing wrong with rocking a new look, but don’t be shy in taking these tips on how to weave the right way!